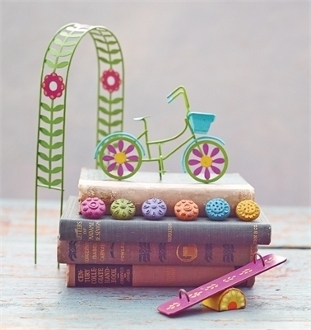 Full Description: This gift-boxed kit includes a mini green vine floral arbor, bicycle, seesaw, and a set of 6 stepping stones. Each kit box includes a card explaining how to plant a mini garden. Items in this kit are also sold seperately. Dimensions: 9" x 3"h x 7"